Jeon Ji-hyun has become the target of the always persistent Hong Kong press. 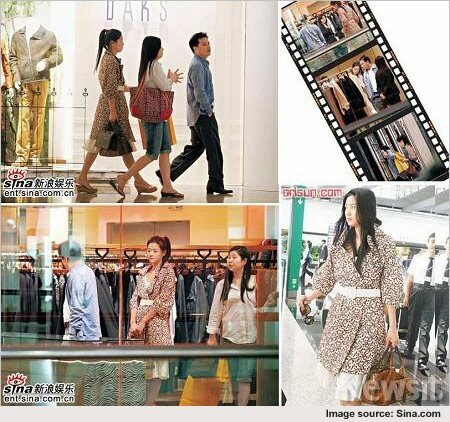 Sina Dotcom’s (www.sina.com) Hong Kong site reported on Tuesday that Jeon Ji-hyun had been spotted out shopping with an unidentified male companion. According to the news website, Jeon recently visited the international city for pleasure. The couple were seen with another woman enjoying their time at a hot Hong Kong shopping spot. But the focus was on the man accompanying Jeon. The woman seen with Jeon looked like an assistant, but the man seemed not to be part of the actress’ staff, the Hong Kong press surmised. The two exuded “closeness,” it said, and Jeon devoted a good amount of time to shopping for men’s clothes. Then the two settled on women’s clothes, the man reportedly paying for the new threads. Jeon was in turn by his side as he tried on various outfits. The actress’ handlers at Sidus HQ say they are aware of the reports. “What is true is that the actress traveled to Hong Kong for a very important meeting, and has since returned. However, the person traveling with her is affiliated with the company, and it is nothing strange for a manager to travel along,” it said. Meanwhile, Sina Dotcom published detailed reports of Jeon’s other activities. She reportedly has plans to head to the U.S. for language study, and has said that she will be attending a large-scale fan meet at the Saitama Super Arena this Nov. 7.